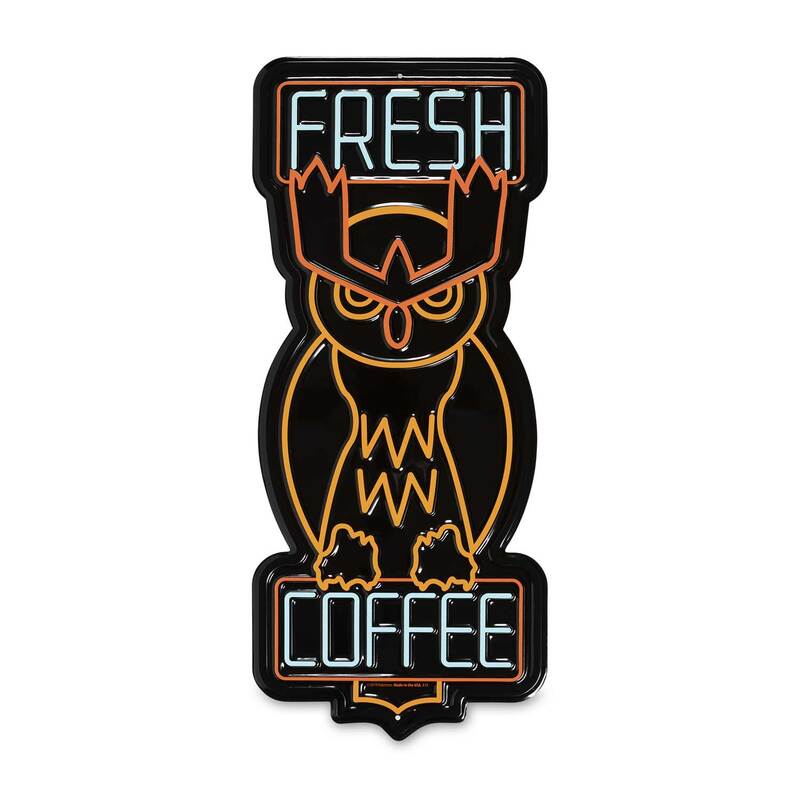 Mark your game space or the coffee zone in your kitchen with this retro-style metal sign featuring Noctowl! Easy to hang on any wall or door, this Hi-Hat Cafe memorabilia infuses Ryme City style into your abode or office. This product can expose you to lead, which is known to the State of California to cause cancer, birth defects, or other reproductive harm. For more information go to www.P65Warnings.ca.gov.